Brigitte Gabriel gives an answer! This should open some eyes for many to make them think! Even if we are idealistic and want nothing but peace for all on earth, we still should keep our minds open to what is going on around us and not hide our heads in the sand! Listen to what she says loud and clear! This entry was posted in balance, consciousness, cosmic laws, Education, empowerment, energy, enlightenment, goodness, goodwill, harmony, health, heart consciousness, history, human rights, intelligence, intuition, justice, mind, miracles, politics, Religion, shooting, Spiritual, terrorism, unity consciousness, universe, women, Youth and tagged consciousness, cosmic laws, Education, energy, enlightenment, harmony, health, intelligence, intuition, joy, justice, love, Middle East, peace, politics, Religion, spiritual, War on 11/01/2015 by mkirtikarphd. When I posted this video it was there on you tube for all to see! Then mysteriously like many other very revealing videos obviously of the truth are suddenly removed from public eye, I wonder why. The fact that someone bothers to remove these videos only proves that whatever information they convey is the truth and nothing but the truth otherwise why remove them? Especially when it has to do with Israel and Palestine issue. Some people obviously think and have the power it seems to do whatever they please anytime they please wherever they please! This entry was posted in human rights, justice, peace, politics, Religion, shooting, Spiritual, terrorism and tagged america, bullets, death, Gaza, human rights, injustice, Israel, massacres, media, Palestine, politics, shellshock, War on 29/01/2014 by mkirtikarphd. Isn’t it wonderful to see a large group of youngsters engaged together in harmony to make music! I wish schools all over the world could make more of an effort to get kids to have fun peacefully together like this and I wish all youngsters from all over the world could see this and know that it is possible to have a world full of fun and peace free of terror and wars! Share this with all the young people you know. This entry was posted in balance, consciousness, Education, energy, enlightenment, goodwill, health, heart consciousness, human rights, intelligence, mind, terrorism, unity consciousness, Youth and tagged energy, fun, music, peace, song, terrorism, youth on 11/01/2014 by mkirtikarphd. Unable to sleep or to read, surfing the web while drinking a cup of sleeping tea (!) I came across this video which I think is worth sharing with whomever is interested! I’m not surprised as I see it all happening quite clearly, everything they’re talking about. Unfortunately, far too many people worldwide are fast asleep, stuck in their comfort zone with their heads buried in the sand and carry on with their lives oblivious to what is going on around them, either having fun or paralysed with fear, or over burdened with physical, emotional and mental problems. Do share this with your network connections. And as it happens I just added (yesterday) a post to my other blog where I only post inspiring motivational educational spiritual topics, see http://www.your-spirit-guide.com/blog about Awakening the Pineal Gland! This entry was posted in balance, consciousness, cosmic laws, Education, empowerment, energy, enlightenment, health, human rights, intelligence, justice, medicine, mind, NASA, new world order, peace, politics, Religion, Spiritual, terrorism, unity consciousness, universe and tagged Calcification, Conditions and Diseases, death, Global warming, health, killings, manipulation, nasa, new world order, Pineal Gland, secret documents, wars, world population on 17/11/2013 by mkirtikarphd. 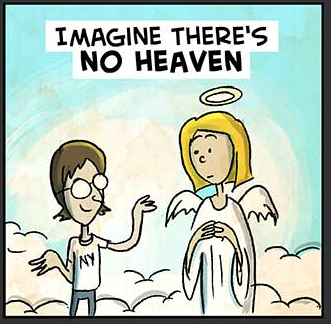 Imagine there’s no heaven by John Lennon ! This entry was posted in Aquarian Age, aura, balance, consciousness, cosmic laws, depression, dream, empowerment, energy, enlightenment, goodness, goodwill, health, heart consciousness, human rights, intelligence, intuition, justice, mind, peace, politics, Religion, Spiritual, terrorism, unity consciousness, universe, Youth and tagged consciousness, dream, Education, heaven, hell, imagine, john lennon, laugh, margosblog, peace, song, unity, War on 20/10/2013 by mkirtikarphd. This entry was posted in dream, empowerment, energy, enlightenment, goodwill, health, heart consciousness, history, human rights, intelligence, intuition, justice, mind, peace, politics, Religion, Spiritual, terrorism and tagged banks, capital, challenge, democracy, economics, farmers, freedom, government, history, justice, labour, money, politics, rights, slavery, taxes, torture, wealth on 13/09/2013 by mkirtikarphd.